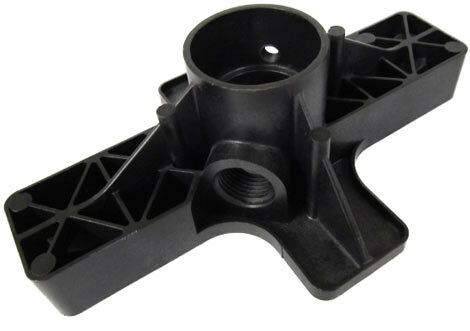 Compared to conventionally machined metal parts, plastic injection molding is more cost-effective, offers better design flexibility, and produces products that are lighter. In fact, plastics can reduce the weight of parts by 50%, produce less scrap material, and can be formed into more complex shapes and geometries than metal parts. K&B’s customers in the HVAC industry come to us for high-value products and components. We use cutting-edge materials to produce parts for water heaters, furnaces, air conditioner compressors, electrical covers, blowers, draft inductors, inducers, and several other components that regenerate gas and remove heat from the environment. 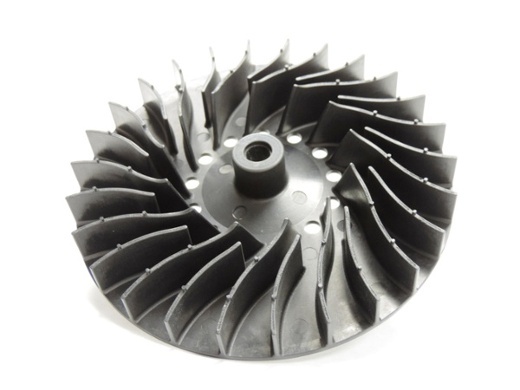 Our thermoplastics can endure the harshest of conditions: For example, thermoplastics can replace sheet metal in blower assemblies where the parts are exposed to hydrochloric acid. The thermoplastic material, unlike sheet metal, is unaffected by acid exposure. 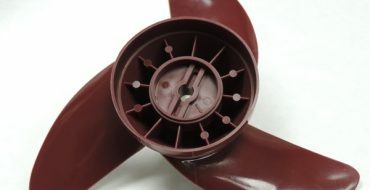 So far, we have injection molded over 30 different types of impellers and in total created over 14 million parts for the HVAC industry. Visit our HVAC section to learn more about our HVAC industry services or to read our guide on switching from metal to plastic. In the marine industry, equipment is regularly exposed to saltwater and/or freshwater. This constant presence of moisture will eventually corrode almost any metal. Thermoplastics, however, are impervious to corrosion caused by moisture and are available at much lower cost than special corrosion-resistant metal alloys. Furthermore, materials can be customized to suit special design requirements such as resistance to ultraviolet radiation. At K&B, we are experts in producing products for the marine industry, including protective covers for electronics, remote control FOBs, propellers, and various trolling motor components. 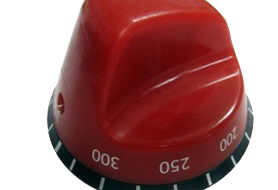 Click here to learn more about the kinds of products we have manufactured for marine applications. The use of thermoplastics in wastewater applications results in products that are easier to install and less expensive to manufacture. In particular, K&B uses Polyether Ether Ketone (PEEK), a colorless organic thermoplastic resistant to high temperatures and corrosion, for wastewater applications in lieu of cement or non-corrosive steel. Septic systems, for example, can be made out of PEEK to reduce costs and simplify installation/maintenance. The potential cost savings are huge: Every home and business uses either a septic tank effluent drainage or solids-free sewer system. Producing septic systems using low cost, high volume injection molding can significantly reduce costs. For more details on the benefits of thermoplastics in wastewater applications, please click here. 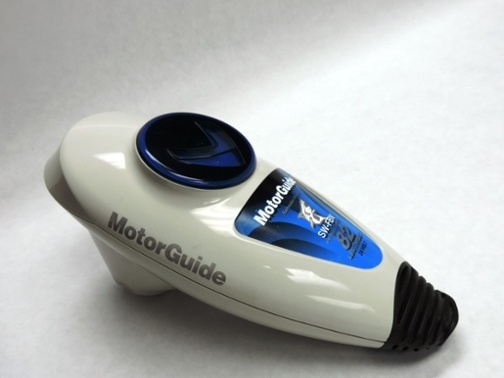 The industries above are just a few examples of the applications of thermoplastics. 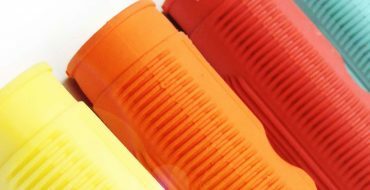 The customizable performance characteristics and cost savings associated with thermoplastic parts make them ideal for a wide range of applications — some that have yet to be fully explored. To learn more about the plastic injection molding process, check out our free glossary, Key Terms to Know for Plastic Injection Molding. How Can Appliance Manufacturers Cut Costs?